Diesel coal haulers built for your mine, with the capacity, overall height and the ground clearance you require, within the limits of practicability. 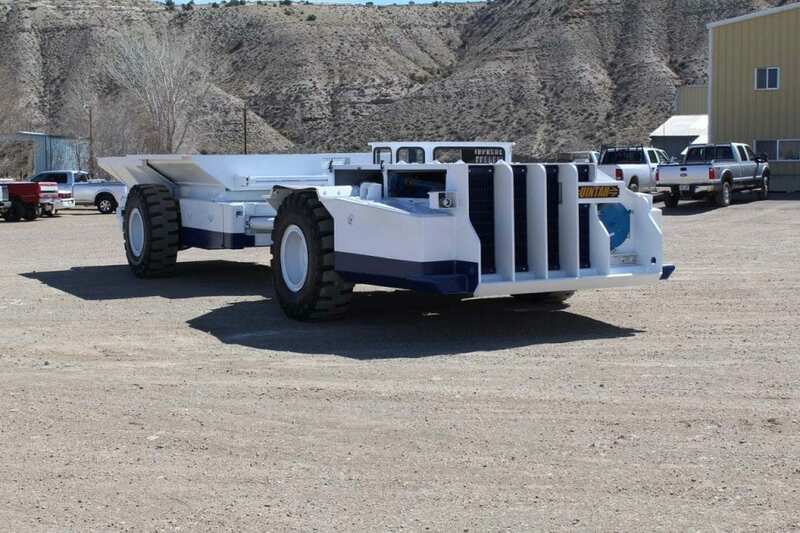 Uintah Machine offers a line of MSHA Part 31 permissible diesel-powered coal haulers. Our coal haulers were initially patterned somewhat after the old Jeffrey 4114. However, after our countless improvements, any resemblance is only skin deep. We use a Cummins diesel engine package of 180HP, Clark transmission, transfer gear case or our own manufacture, John Deere differentials with inboard wet disk brakes, and a beefy slewing bearing articulation. We believe this is the best diesel powered coal hauler ever built. We'd like to build one for you. Call us at 435-738-2453 with questions, or to get a quotation.